People in remote parts of Northern Australia were recently treated to a rare nighttime sight: An annular solar eclipse in which the moon blocks the Sun, leaving a thin 'ring of fire' uncovered. 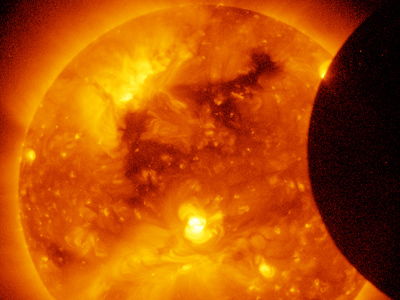 The annular solar eclipse occurs when the Moon is farther than usual from Earth, making its apparent size in the sky smaller than Sun's apparent size in the sky. 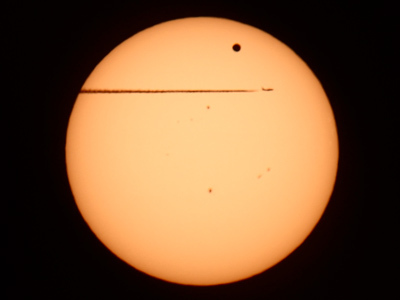 Since both the Moon's orbit around the Earth and the Earth's orbit around the Sun are ellipses, the sizes of the Moon and the Sun as seen from Earth vary depending on the positions of the orbits. 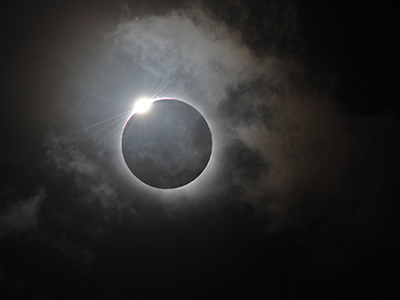 The eclipse, visible from Tuesday to Friday, could been seen across a 171- to 225-kilometer area that stretched across Australia, eastern Papua New Guinea, the Solomon Islands, and the Gilbert Islands; residents elsewhere in the region witnessed a partial eclipse. 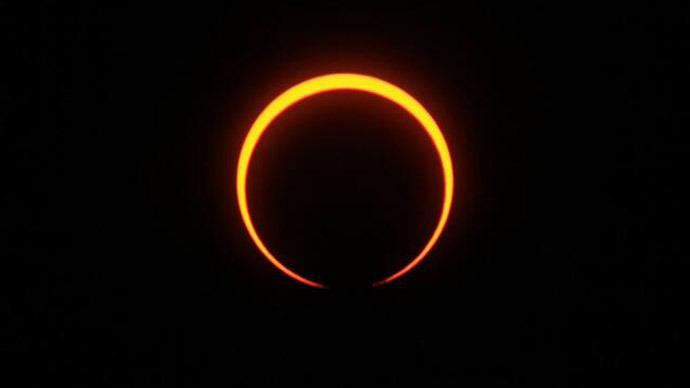 "It was my first time I had seen an annular eclipse. I thought it was spectacular. I was actually amazed at how beautiful it was," stargazer Geoff Sims told AFP after taking photos of the celestial event from a remote spot in Western Australia. The spectacle came just months after Australia witnessed another memorable phenomenon, a total solar eclipse in November.